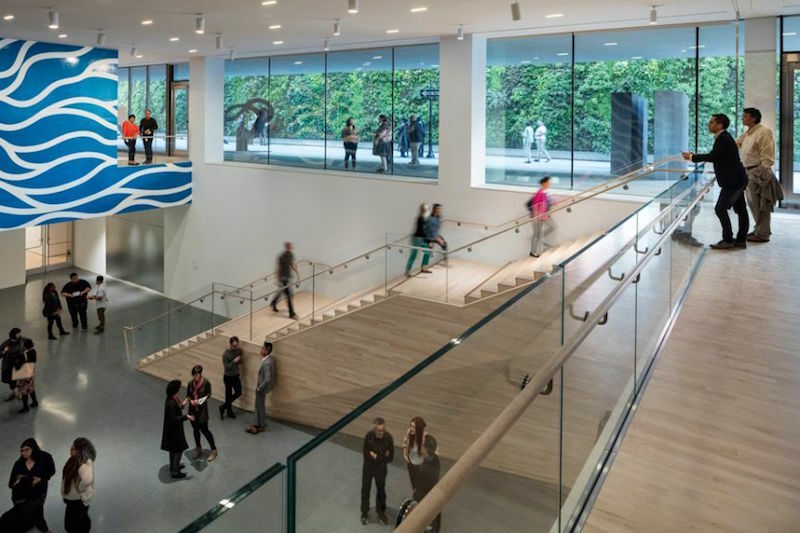 After a three-year expansion and renovation, the new San Francisco Museum of Modern Art opened to the public this weekend. The museum has more than doubled in size and is now the largest modern and contemporary art museum in the US. SFMOMA was founded in 1935 and occupied the Beaux-Arts style War Memorial Building for 60 years. In 1995, the museum opened a building designed by the Swiss architect Mario Botta. That same year, interestingly, SFMOMA was one of the first museums to launch a website. The new building was designed the Norwegian firm Snøhetta, whose notable projects have included the Oslo Opera House and the Lillehammer Art Museum. Rather than modify the Botta building, Snøhetta’s 235,000-square-foot expansion rises above it with a white façade that conceals its mass with rippling forms, outdoor terraces, and setback upper levels. On its first and second floors, the museum’s new building offers some 45,000 square feet of gallery space that is open to the public for free. The inaugural installation includes Richard Serra’s 2006 Sequence. The new building fills seven floors with gallery space, and three more floors with a library, classrooms, theater, café, shop, and staff areas. 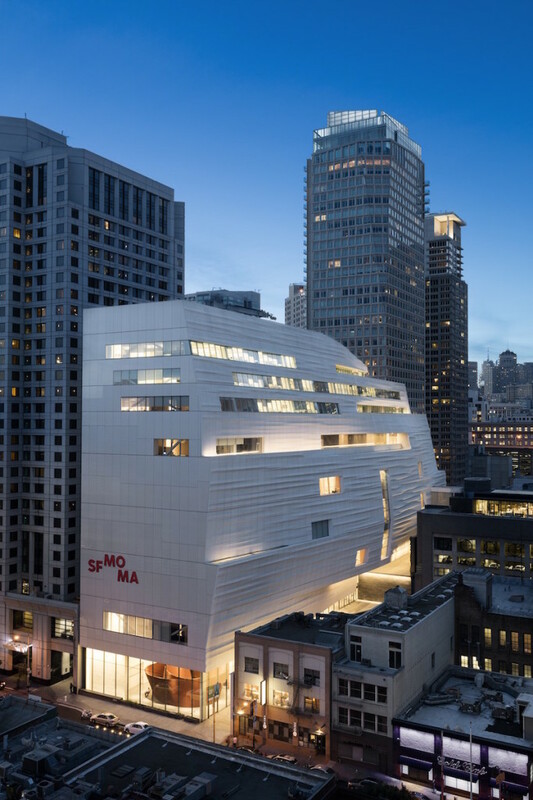 SFMOMA now totals 460,000 square feet with 170,000 square feet of gallery space – 20,000 square feet more than MoMA in New York. Four floors contain galleries dedicated to the Doris and Donald Fisher Collection – 1,100 postwar and contemporary works owned by the founders of Gap. 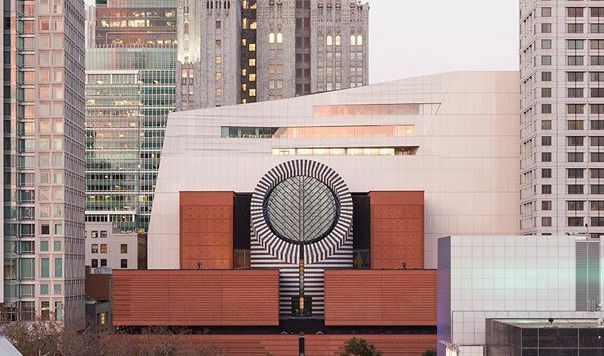 The former SFMOMA trustees gave their collection as a long-term loan, with a requirement that the current installation of about 260 works must be repeated once every decade for 100 years. 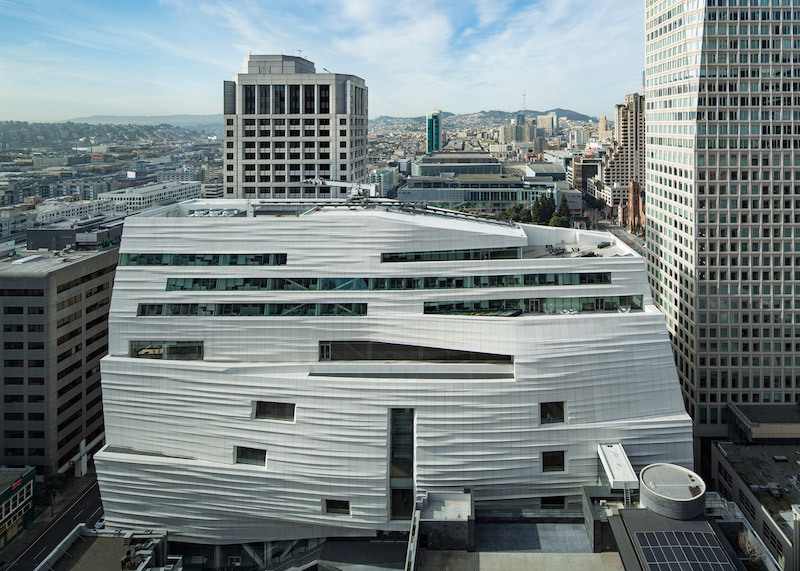 The expansion project broke ground in 2013, but SFMOMA’s capital campaign began in 2009. The museum raised a total of $610 million by late last year – $305 million for construction costs, $245 million for endowment funds, and $60 million for programming and operating expenses. 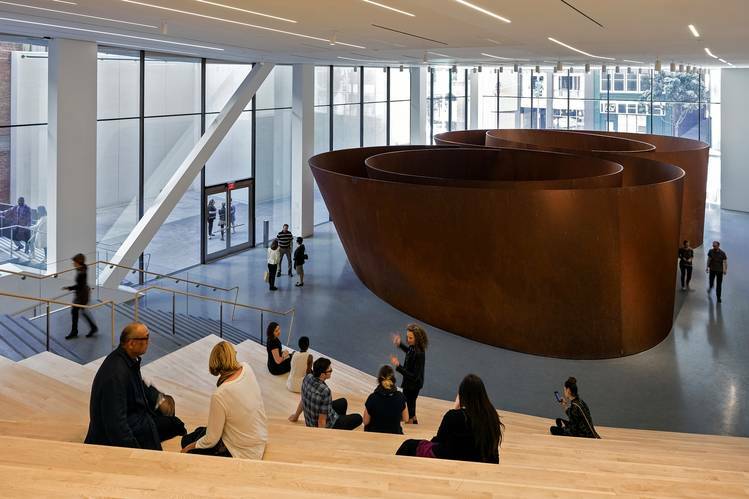 In addition to the new building’s free public gallery spaces, SFMOMA now offers free admission for all visitors under age 18.